Above: Edward was the son of George, duke of Clarence (left) and Isabel Neville, duchess of Clarence (right). 28 November 1499 is one of the darkest days in Tudor history, for it witnessed the execution of Edward Plantagenet, earl of Warwick. The earl, who was only twenty-four years of age, was the only son of George, duke of Clarence and Isabel, duchess of Clarence. He was, therefore, a nephew of Edward IV and Richard III. After Henry VII's triumph at Bosworth in 1485, the ten-year-old Warwick - whose parents had died in 1478 and 1476, respectively - was incarcerated in the Tower of London. The Tudor dynasty was vulnerable in its early days, and Henry VII's reign was troubled by the emergence of pretenders claiming to be members of the House of York. The two most notable pretenders were Lambert Simnel and Perkin Warbeck, who claimed to be Richard of York. 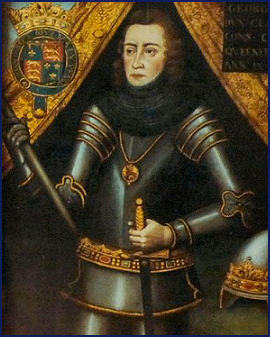 Historians have puzzled over whether or not Warwick willingly became involved in Warbeck's conspiracy to seize the throne from Henry VII. Allegedly, both Warbeck and Warwick attempted to escape from the Tower in 1499. Both were tried and found guilty of treason. On 23 November, Warbeck processed from the Tower to Tyburn on a hurdle, where he was hanged. Five days later, Warwick was executed on Tower Hill. His body was later buried at Bisham Abbey in Berkshire. Contemporaries believed that Warwick's execution was the result of pressure put on Henry VII by Ferdinand of Aragon and Isabella of Castile, who were concerned about the situation that their daughter, Katherine, would face in England if she were to marry the king's son Arthur. 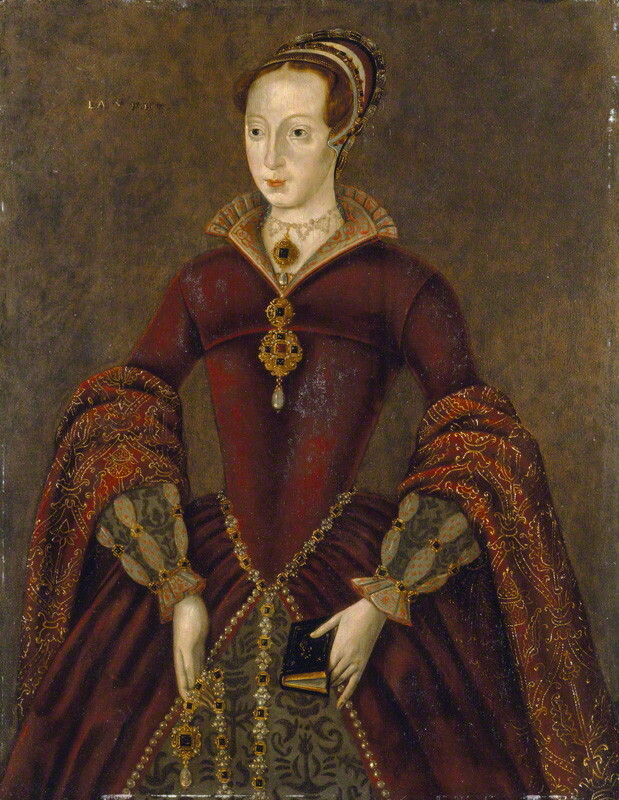 Jane Dormer, duchess of Feria, an attendant of Katherine's daughter Mary, claimed that Katherine believed that her marriage to Arthur had been made in blood. In 1541, Warwick's sister, Margaret, was also executed, on the orders of Henry VIII. She was sixty-seven years old and was literally hacked to death by an inexperienced executioner. The Tudors were undoubtedly ruthless in their pursuit of dynastic security, and the actions of Henry VII and Henry VIII towards the Yorkists does not reveal either king in an especially flattering light. Elizabeth I exercised a similarly militant policy in regards to her royal cousins. At London's Guildhall on 13 November 1553, five individuals were tried for high treason: Lady Jane Grey, the so-called 'Nine Days Queen'; her husband Guildford Dudley; his brothers Ambrose and Henry; and Thomas Cranmer, archbishop of Canterbury. Cranmer was charged with helping to seize the Tower for Jane and of levying troops for the duke of Northumberland's expeditionary force against Mary I (Northumberland himself had been executed in August that year). The beleaguered archbishop allegedly 'openly confessed his crime', although he himself later clarified that he had 'confessed more... than was true'. The Guildhall was the venue of several notable treason trials during the Tudor period. Francis Dereham and Thomas Culpeper, the reputed lovers of Katherine Howard, were tried and convicted at the Guildhall in 1541, while Anne Askew was tried for heresy at the same venue five years later. The five tried on 13 November 1553 proceeded from the Tower of London through the streets on foot to the Guildhall. Lady Jane - or Queen Jane; her exact title continues to rouse debate - was dressed in a sombre gown of black cloth and a black French hood. The commission was headed by the lord mayor, Sir Thomas White. Eric Ives notes that the commission was 'overwhelmingly Catholic in sentiment', which was surely a calculated move on Queen Mary's part, as a sign of the new order that was to be a feature of her reign. The 'Nine Days Queen' was charged with taking possession of the Tower, alongside her husband, and 'signing various writings'. In short, she had unlawfully usurped the sovereign's authority. All five were found guilty of high treason. The four men were sentenced to suffer a traitor's death: hanging, drawing and quartering. Jane was sentenced to be burned alive or beheaded according to the Queen's pleasure. The teenager faced news of her sentence bravely; she was sustained during those bleak months of imprisonment by her devout reformist faith. No date was given for the executions, and it appears that Queen Mary was, at least initially, willing to show mercy to the defendants, with the exception of Cranmer. The outbreak of rebellion in early 1554, however, changed that. Whether or not she was pressured by the Spanish envoys, with the promise of marriage to Philip of Spain, or by her Privy Council, Mary elected to order the executions of Guildford Dudley and Lady Jane Grey, for she feared that her security would be compromised as long as they remained alive and a focus for reformers. On 12 February, Guildford and Jane were executed. Both died bravely. Jane was subsequently represented in cultural works as an innocent victim of her scheming parents, or as a virtuous Protestant martyr. Guildford was viewed with sympathy by his contemporaries, but modern writers tend to depict him negatively as an abusive, weak-willed and vicious adolescent, a portrayal that is essentially fictional in basis. Ambrose and Henry, Guildford's brothers, were more fortunate. Ambrose was released from the Tower in late 1554 and went on to serve Elizabeth I as her Master of the Ordnance. In 1561, he was created earl of Warwick. He died in 1590. His younger brother Henry participated with Ambrose in several tournaments held by Philip of Spain, as a demonstration of Anglo-Spanish amity. Henry participated in the Battle of St. Quentin in 1557, where he died. 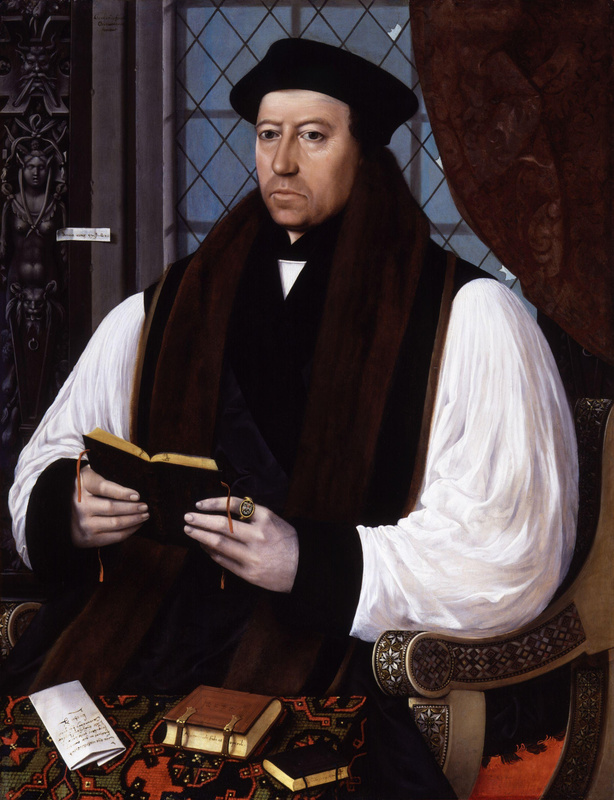 Archbishop Cranmer fared less well. He was tried for heresy in 1555 and went to the stake on 21 March 1556. Giulia Gonzaga (1513-1566) was the daughter of Ludovico Gonzaga, lord of Sabbioneta and Bozzolo, and his wife Francesca Fieschi. At the age of fourteen, Giulia was married to Vespasiano Colonna, count of Fondi and duke of Traetto. Their marriage was destined to be a short one, for Vespasiano died only three years after their wedding. At the age of twenty-two, Giulia joined a convent in Naples and was acquainted with the Spanish religious exile Juan de Valdés. Members of the Italian nobility, including Giulia and her cousin by marriage, Vittoria Colonna, were admirers of Valdés. Diarmaid MacCulloch has noted that this elite support meant that ‘there was a ready entry to the courts and noble palaces of northern Italy [while] Valdesian ideas in turn filtered into the lively world of humanist discussion in Italian cities’. Above: Gazzuolo, where Giulia was born in 1513. Camilla Russell has argued that Giulia was one of Valdés’ most prominent dedicated and enduring disciplines. Her social position, her vast social links and her personal influence means that she was one of the most important heterodox figures in sixteenth-century Italy. Valdés’ ideas were appealing to members of what has been called the spirituali movement, which was active in mid sixteenth-century Italy. This movement is both enigmatic and difficult to define. It sought spiritual and organisational Church reform, and some of its members sympathised with reformed doctrines. Several of the ideas embraced by the spirituali, including organisational Church reform and the pursuit of a personal relationship with God, were gaining currency across Europe. They were familiar with, and were in some respects influenced by, the works of northern reformers, including Luther and Calvin. Elements of Calvin’s Institutes, for example, can be traced in the anonymously published Beneficio di Cristo (1543), which was the most significant literary product of the spirituali, and has been described by Dermot Fenlon as ‘the most revolutionary product of Italy’s unaccomplished Reformation’. The spirituali sought the abolition of superstitious forms of religious practice, while abhorring the widespread corruption and ignorance of the clergy. However, unlike the northern reformers, most of the spirituali wished to remain in communion with the Roman Catholic Church. Above: Vespasiano Colonna, husband of Giulia (left). Pietro Carnesecchi, Giulia's friend (right). Giulia is also known for her friendship with the humanist Pietro Carnesecchi (1508-67). Carnesecchi’s beliefs were undoubtedly heterodox, for he believed in justification by faith alone and viewed the Scriptures and leading doctors of the Church as the only authorities on matters of doctrine and spirituality, while rejecting the sacrament of confession and the doctrine of purgatory. Carnesecchi was investigated by the Roman Inquisition between 1546 and 1567, and was eventually imprisoned, convicted and executed. The records of his trial illuminate his religious activities, as well as those of Giulia, who experienced ‘disquiet’ and ‘contradiction’, perhaps in relation to the teachings of the Church and those of Valdés, who encouraged her to embrace ‘the idea of Christian perfection’. These records are useful, given that Giulia wrote no religious reflections or treatises of her own (or, at least, none that survive). She did not explicitly express religious sentiments in her letters, which contain oblique, cautious references to her beliefs. Certainly Giulia acknowledged that her beliefs were not orthodox. In June 1558, she wrote to Carnesecchi saying that she needed to ‘watch out, otherwise she could fall into the net’ of the Inquisition. Eventually, the letters between Carnesecchi and Giulia were used as evidence against Carnesecchi during his trial for heresy. Carnesecchi was certain that his and Giulia’s actions were correct. He wrote to her in 1557 claiming that ‘there is no doubt that God permits everything, with just (although to us obscure) reason, and that from everything he will draw his glory, to the edification and profit of his elect’. The term ‘elect’, of course, has reformed, specifically Calvinist, connotations. Giulia died in 1566 at the age of fifty-three, the year before Carnesecchi's execution. The timing of her death ultimately prevented her from sharing her friend's fate, or at the very least, a trial for heresy.